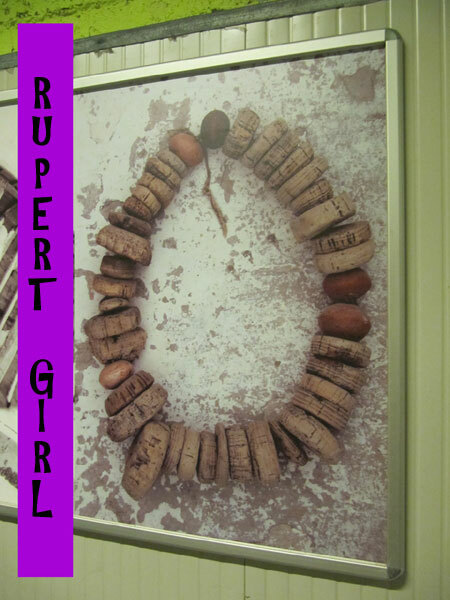 We're very sad to report that the RupertGirl blogger passed away this summer from kidney cancer. She will be missed by all of us and we imagine as well by those of you who came and visited her blog to see all her fantastic cooking, crafting, and pictures of her travels. This blog will remain at this address as a memorial but there will be no new posts. Yesterday the neighbour turned 97 and in June Mr. Cowboy turned.... Well, we won't say but the booze-soaked cake was a hit. The pastry chef at Cowboy Coffee outdid herself on this one. Did the Pineview Trails for the first time; nice to see all the birds and ducks along the path. The pictures of the goats are not very good as they were moving very fast in the direction of their water and a rest. The Goat Boss tells me that the knapweed did not come back this year but the toadflax is very difficult to get rid of. Finally after two years my peonies have burst into bloom! This platter came all the way from Deruta. Today it went to work with me filled to overflowing with healthy cookies, tarts, and skor brownies. Hi, my name is Anna. This is my world - welcome.